On 15 April, it will be 28 years ago that the Great Garbo passed away. Swedish-born Greta Garbo (1905-1990) was one of the greatest and most glamorous film stars ever produced by the Hollywood studio system. She was part of the Golden Age of the silent cinema of the 1920s and was one of the few actors who made a glorious transition to the talkies. 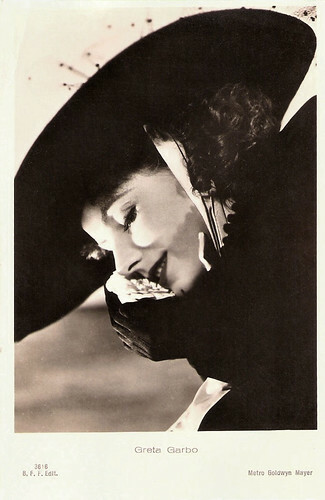 She started her career in the European cinema and would always stay more popular in Europe than in the US. She was 84 when she died on 15 April 1990 in New York. Till the 15th, EFSP salutes her and we will only post her postcards. British postcard in the Picturegoer Series, London, no. 283e. British postcard in the Picturegoer Series, London, no. 283b. British postcard in the Picturegoer Series, London, no. 637b. Photo: Clarence Sinclair Bull / Metro-Goldwyn-Mayer. Publicity still for Anna Karenina (Clarence Brown, 1935). 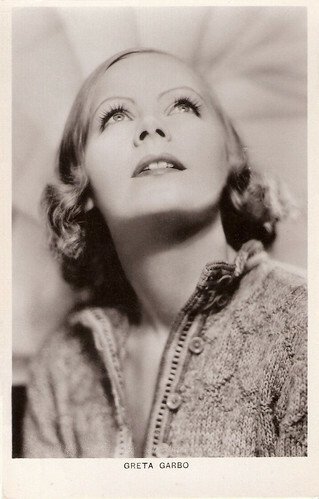 Greta Garbo was born as Greta Lovisa Gustafsson in Stockholm in 1905. Her parents were Anna Lovisa (Johansdotter), who worked at a jam factory, and Karl Alfred Gustafsson, a labourer. She had an older sister and brother, Alva and Sven. They grew up in a rundown Stockholm district. Few who knew Greta in her formative years would have predicted the illustrious career that awaited her. In school, she did little to distinguish herself; nor was her first job, as a barbershop lather girl, indicative of future greatness. Her father died when she was 14, leaving the family destitute. Greta was forced to leave school and to work as a clerk in the PUB department store, where she also would model for newspaper ads. She photographed beautifully. Her first film aspirations came when she appeared in two short film advertisements, Herr och fru Stockholm/Mr. and Mrs. Stockholm (Ragnar Ring, 1920) and Konsum Stockholm Promo/How Not to Dress (Ragnar Ring, 1921), both were financed by PUB. Greta also appeared in a one reel film for a local bakery. The films were seen by director Erik Arthur Petschler who gave her a small part as a bathing beauty in his comedy Luffar-Petter/Peter the Tramp (Erik A. Petschler, 1922). British postcard in the Colourgraph Series, London, no. C 81. Photo: publicity still for Anna Christie (Clarence Brown, 1930). British postcard in the Valentine's Postcard series, no. 5904 F. Photo: MGM. Publicity still for Queen Christina (Rouben Mamoulian, 1933). French postcard by Ed. Chantal, no. 66. Photo: M.G.M. Publicity still for Conquest (Clarence Brown, 1937). Greta Gustafson garnered a couple of good trade reviews. It made her confident enough to seek out and win a scholarship to Dramaten, the prestigious Royal Dramatic Theatre in Stockholm. While studying acting there, she appeared in the historical film En lyckoriddare/A Happy Knight (John W. Brunius, 1921) which features Gösta Ekman as the dashing rogue who steals the heart of the ethereal Mary Johnson. Greta played a maid. Then she met Mauritz Stiller, one of Sweden's foremost film directors in the early 1920s. 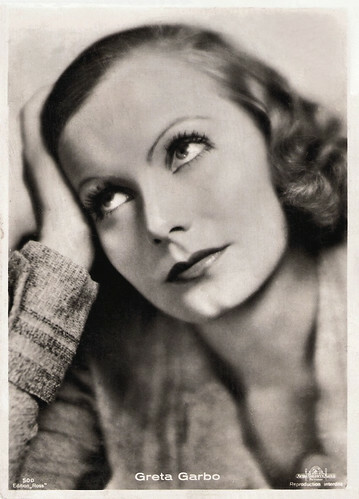 Stiller trained the 18-years old in cinema acting technique and gave her the stage name Greta Garbo. He cast her in a major role opposite Lars Hanson in Gösta Berlings Saga/The Legend of Gosta Berling (Mauritz Stiller, 1924). The epic drama was based on a novel by Nobel Prize winner Selma Lagerlöf. Gösta Berlings Sagawas internationally successful and made Greta a minor star. On the strength of this role, she was cast in the German prostitution and depression melodrama Die Freudlose Gasse/The Joyless Street (G.W. Pabst, 1925), in which she co-starred with the Danish screen legend Asta Nielsen. And then Hollywood called. Louis B. Mayer invited Stiller to work for MGM when Gösta Berlings Saga caught his attention. On viewing the film, Mayer admired Stiller's direction, but was not impressed with Garbo's acting and screen presence. Mauritz Stiller insisted on bringing his protégé to Hollywood, thus, Mayer contracted her as well. Later, Garbo’s relationship with Stiller came to an end as her fame in Hollywood grew and he struggled in the studio system. In 1928 Stiller was abruptly fired from directing Garbo's second MGM film, The Temptress (1926), after repeated arguments with studio execs. Stiller returned to Sweden, where he died soon after. He was only 45 and reportedly, Garbo was devastated. 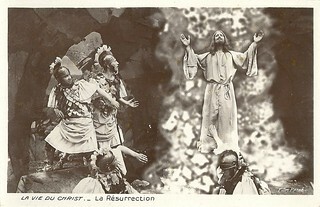 French postcard by Edition Ross, no. 5597/1, 1930-1931. Photo: Metro-Goldwyn-Mayer. Publicity still for Anna Christie (Clarence Brown, 1930). Dutch postcard by JosPe, Arnhem, no. 34. Photo: Clarence Sinclair Bull / Metro Goldwyn Mayer. Publicity still for Anna Christie (Clarence Brown, 1930). 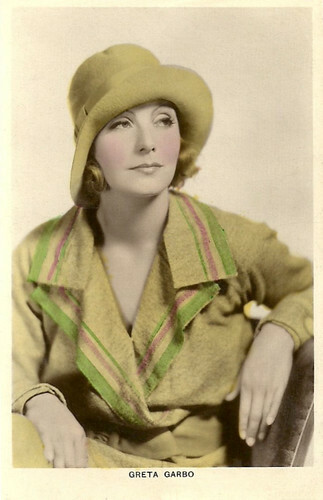 In Hollywood, Greta Garbo spent most of 1925 posing for nonsensical publicity photos which endeavored to create a 'mystery woman image for her. Hal Erickson at AllMovie: " but it was only after shooting commenced on Garbo's first American film, The Torrent (1926), that MGM realized it had a potential gold mine on its hands." Director of The Torrent was Monta Bell and Greta played a peasant girl turned singer opposite Ricardo Cortez. 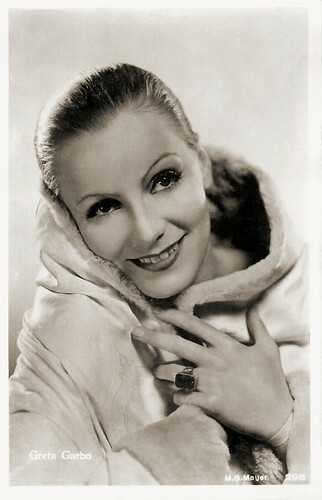 The film was a hit and despite its cool reception by the trade press, Garbo's performance was critically acclaimed. Her third film for MGM, Flesh and the Devil (Clarence Brown, 1926), made her an international star. Her co-star was John Gilbert, and their on-screen chemistry soon translated into an off-camera romance and by the end of the production, they lived together. The Garbo/Gilbert team went on to make an adaptation of Tolstoy's Anna Karenina titled Love (Edmund Goulding, 1927). The couple planned to marry, but Garbo, in one of her attacks of self-imposed solitude, did not show up for the wedding. Over the years, the actress would have other romantic involvements, but would never marry. Anna Christie (Clarence Brown, 1930) was filmed at a time of transition in Hollywood from the silent era to sound. Reportedly MGM had concerns about Garbo's voice. 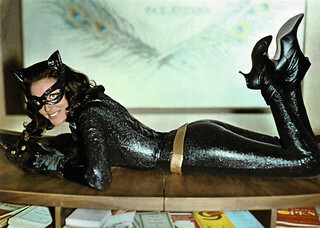 The studio was afraid that her thick Swedish accent would not register well in the talkies. 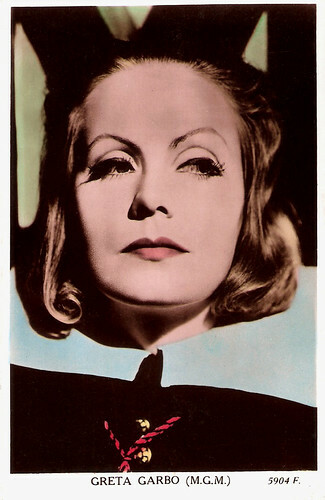 Poster for her first sound film read "Garbo Talks! ", which would become a catchphrase widely associated with her. Sixteen minutes into Anna Christie, Garbo finally utters her first, now famous line, "Gimme a whiskey, ginger ale on the side, and don't be stingy, baby." 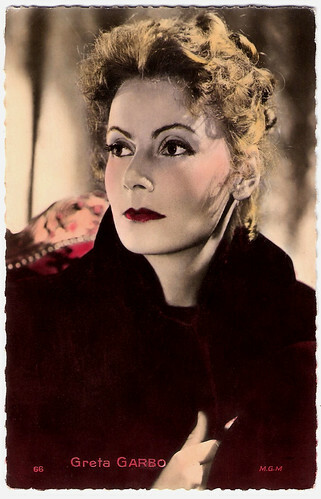 Garbo's voice meshed perfectly with her established image, and her performance in Anna Christie was effective. So, when 'Garbo talks' the audience still listened. 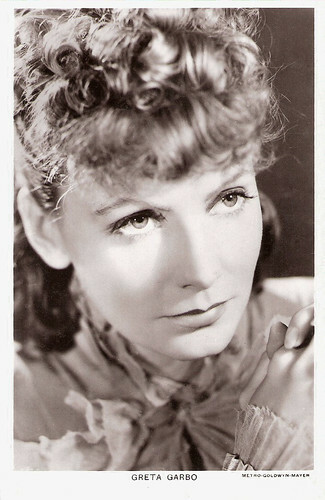 Anna Christie, based on a play by Eugene O'Neill, became a transitional film for Garbo. Hal Erickson: "the advent of talkies obliged the actress to drop the 'mysterious temptress' characterization she'd used in silents in favor of more richly textured performances as worldly, somewhat melancholy women to whom the normal pleasures of love and contentment would always be just out of reach." Greta Garbo had a huge following in Europe, especially in Germany. Therefor MGM also made a German version of Anna Christie. Both versions were filmed back to back. Garbo played the leading role in both versions, but all the other characters in the German version were played by different actors from the English version. Curiously, Garbo herself supposedly favoured her Anna Christie in the German version over the English version. The German version was directed by Jacques Feyder and had its first screening in Germany in 1931. Dutch postcard. Sent by mail in 1931. Photo: Metro-Goldwyn-Mayer. Dutch postcard by JosPe, no. 295. Photo: Metro-Goldwyn-Mayer (MGM) / Clarence Sinclair Bull. Publicity still for Mata Hari (George Fitzmaurice, 1931) . 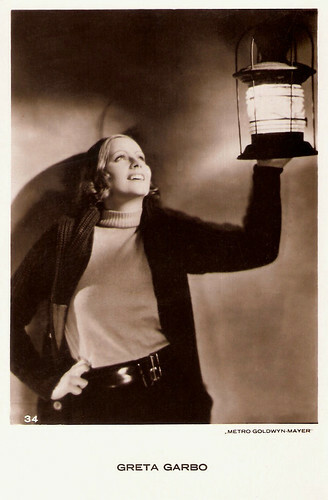 Greta Garbo next made Romance (Clarence Brown, 1930) in the same year as Anna Christie. 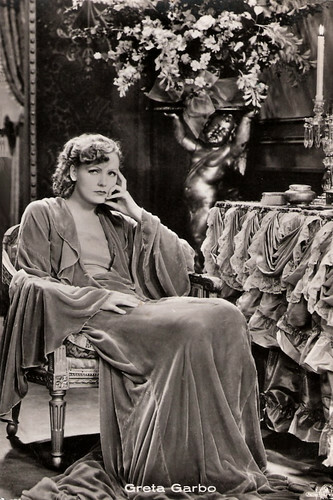 Romance is a film with nearly no plot twists, but Garbo is stunning. She originally wanted Gary Cooper as her leading man, but MGM could not borrow Cooper from Paramount, so Garbo had to settle for Lewis Stone and the unknown Gavin Gordon. After Anna Christie, Romance (1930) was somewhat of a letdown, but for her performances in these films she received the first of three Academy Award nominations for Best Actress. Academy rules at the time allowed for a performer to receive a single nomination for their work in more than one film. In 1931, Garbo bounced back, landing another lead role opposite Ramon Novarro as the World War I spy in Mata Hari (George Fitzmaurice, 1931). The lavish production turned out to be a major hit. The next year she was cast in yet another hit, Grand Hotel (Edmund Goulding, 1932). She played a Russian ballerina opposite an ensemble cast, including John Barrymore, Joan Crawford, and Wallace Beery. 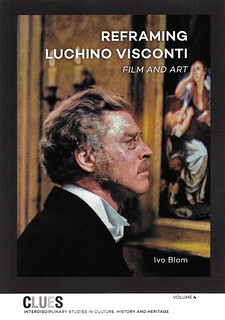 The film won an Academy Award for Best Picture. Both Mata Hari and Grand Hotel had been MGM's highest-earning films of 1931 and 1932, respectively, and Garbo was dubbed "the greatest money-making machine ever put on screen". From now on, her popularity allowed her to dictate the terms of her contract and Garbo became increasingly selective about her roles. Queen Christina (Rouben Mamoulian, 1933) was a lavish production, becoming one of the studio's biggest productions at the time. Publicised as "Garbo returns", the film became the highest-grossing film of the year. However censors objected to the scenes in which Garbo disguised herself as a man and kissed a female co-star. In the Leo Tolstoy adaptation Anna Karenina (Clarence Brown, 1935), she played another of her renowned roles. 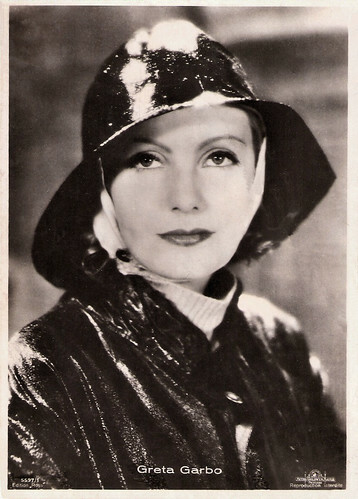 The film won the Mussolini Cup for best foreign film at the Venice Film Festival, and Garbo received a New York Film Critics Circle Award for Best Actress for her role as Anna. Many critics and film historians consider her performance as the doomed courtesan Marguerite Gautier in George Cukor's romantic drama Camille (1936) to be her finest. The role gained her a second Academy Award nomination. However, Greta Garbo's career soon declined after the flop of Conquest (Clarence Brown, 1937), and in 1938, she was one of the many stars labeled "Box Office Poison". Vintage postcard, no. 300. Photo: M.G.Mayer. Publicity still for Mata Hari (George Fitzmaurice, 1931) with Ramon Novarro. Postcard with Dutch censorship stamp, no. 359. Photo: publicity still for Grand Hotel (Edmund Goulding, 1932) with Ferdinand Gottschalk and Rafaela Ottiano. Italian postcard by B.F.F. Edit., no. 3616. Photo: Clarence Sinclair Bull / Metro-Goldwyn-Mayer. Publicity still for Camille (George Cukor, 1936). In 1939, Greta Garbo made a comeback when she starred in Ninotchka (Ernst Lubitsch, 1939). Her first comedy was one of the first Hollywood films which, under the cover of a satirical, light romance, depicted the Soviet Union under Joseph Stalin as being rigid and gray when compared to its prewar years. Ninotchka was publicised with the catchphrase "Garbo laughs! ", commenting on the departure of Garbo's serious and melancholy image as she transferred to comedy. Bosley Crowther, the famous New York Times film critic wrote that Garbo Garbo "demonstrated that she had the wit and flexibility to be a fine comedienne". 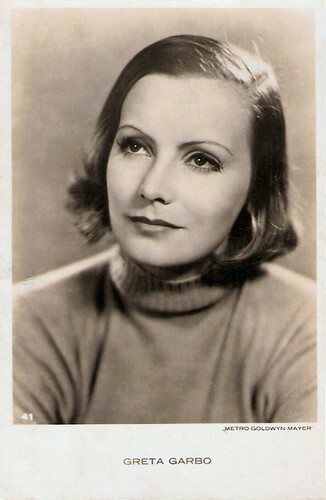 All of Garbo's films were in black and white which enhanced her mystery and romantic allure. Her last film was the domestic comedy Two-Faced Woman (George Cukor, 1941), which was considered a distinct step downward for her. The film drew controversy and was condemned by the Catholic Church and other groups and was a box office failure. She was 35, and had acted in twenty-eight films. After the war, Greta Garbo hoped to return to films. She was asked to appear in Alfred Hitchcock's The Paradine Case (1947), but she turned the role down. In 1949, after making some screentests for a film project called The Wicked Dutchess which was never realised due to financial problems, Garbo retired definitively. Greta Garbo abandoned Hollywood and moved to New York City. She would jet-set with such personalities as Aristotle Onassis and Cecil Beaton, and spend the rest of her time gardening flowers and vegetables. In the 1970s, Garbo traveled less and grew more and more eccentric, although she still took daily walks through Central Park with close friends. In the late 1980s failing health decreased her mobility. In her final year it was her family that cared for her, including taking her to dialysis treatments. In 1990, Greta Garbo died of natural causes in New York. She was 84. In 1954, she was given a special Oscar 'for her unforgettable performances', and in 1999, the American Film Institute ranked Garbo fifth on their list of the greatest female stars of classic Hollywood cinema, after Katharine Hepburn, Bette Davis, Audrey Hepburn, and Ingrid Bergman. Hal Erickson at AllMovie: "Even after her death in 1990, the legend of Greta Garbo was undiminished. 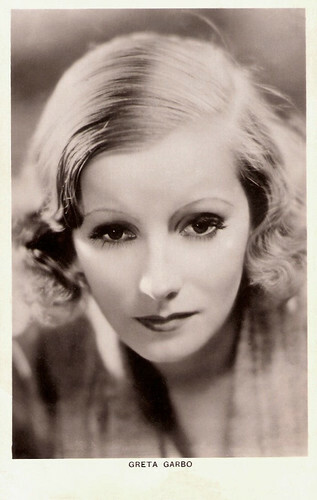 Few of her fans talk of her in human terms; to her devotees, Greta Garbo was not so much film legend as film goddess." Greta Garbo in a scene from Gösta Berlings Saga (1924). Source: KinoInternational (YouTube). Greta Garbo in a scene from Die Freudlose Gasse (1925). Source: Cinema History (YouTube). The whiskey scene in the German version of Anna Christie (1930). Source: Al Paterson (YouTube). Sources: Hal Erickson (AllMovie), Denny Jackson (IMDb), Wikipedia, and IMDb. Stay tuned to your updates. Thank you. Please allow me to return later.